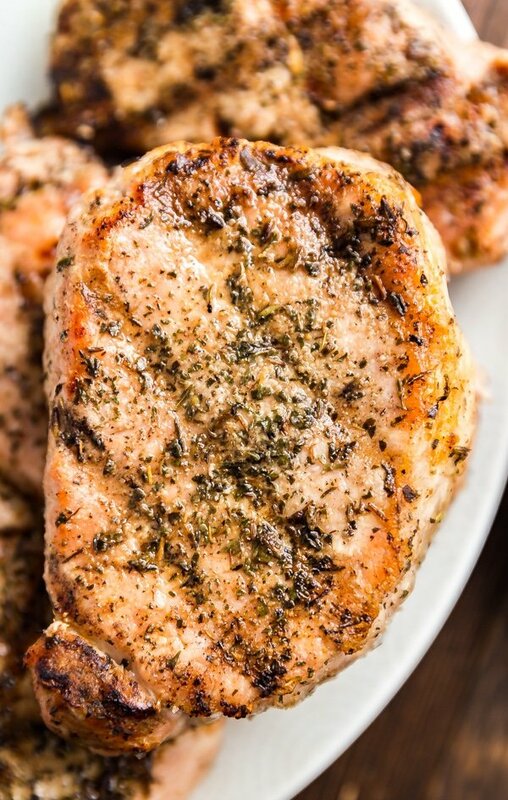 Herb Grilled Pork Chops are my absolute favorite way to enjoy grilled pork chops. Super quick and easy to make and mouthwateringly delicious (especially when dipped in applesauce!). When we lived in Vegas, we enjoyed dinner with my in-laws quite often. Partly because we lived with them for a little while until we could find an apartment and mostly because we enjoyed the quality time. One thing I love is when my father-in-law makes pork chops on the grill. He is definitely the one who taught Justin how to master grilling because everything he makes comes off tender, juicy and perfectly cooked. When J’s mother seasons meat for grilling, this is one of her (and our) go-to ways to season it. A little salt and pepper. A little garlic powder. And some Herbes de Provence. And a whole lot of delicious! How long should I leave pork chops on the grill? This will vary based on the thickness of your chop. Ours were around an inch in thickness and we cooked them for around 5 minutes per side. My best advice is keep and eye on them and temp them. What is the ideal temperature for pork chops to be cooked to? Pork chops can be cooked to 145 degrees. This will give you a tender, juicy chop that is safe to eat. How hot should the grill be? We heat ours to around medium high or just a little bit under that. Can I use bone-in pork chops? Yes! Grilled bone in pork chops are also delicious! Can I use different herbs? Absolutely, use whatever herbs you prefer! Remove from the refrigerator 15-20 minutes prior to grilling. Spray the grill with cooking spray and preheat the grill to medium high heat. 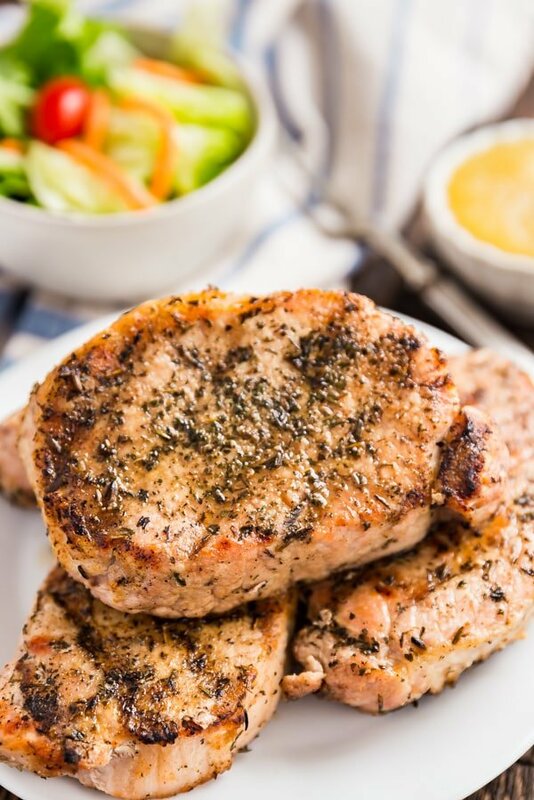 Season the pork chops on both sides with salt, pepper, garlic powder and Herbes de Provence. Place meat on the grill. Cook for 5-6 minutes per side, turning once (this time will vary based on your grill and the thickness of the meat so keep an eye on it). Remove the meat to a clean plate and tent with foil. Rest for 10 minutes. Serve immediately. 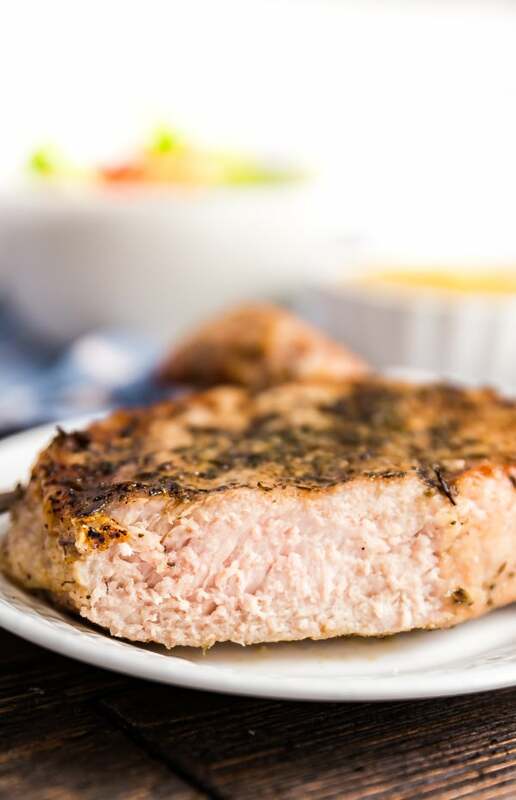 Looking for some other easy pork chop recipes? 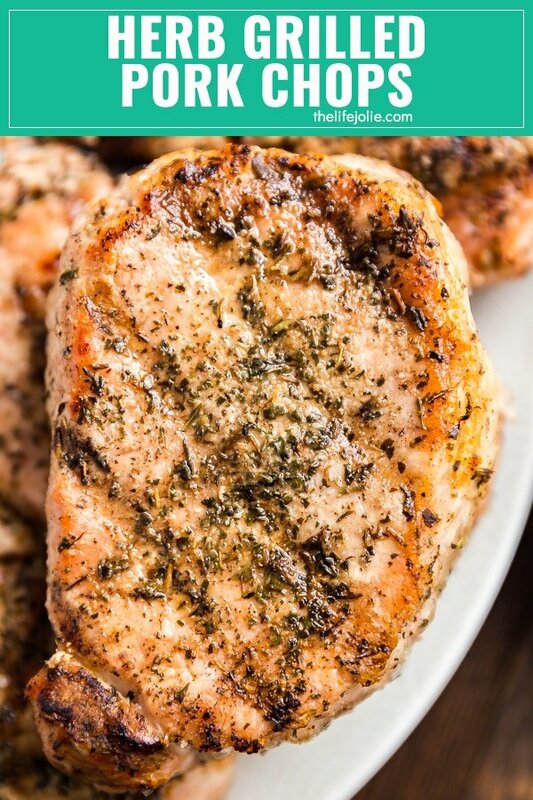 April 26, 2018 at 3:51 pm This pork chop recipe is a must try!! April 27, 2018 at 3:33 pm Thanks Jocelyn- it's one of our favs! April 27, 2018 at 4:59 pm It looks like it has so much flavor! April 28, 2018 at 9:19 pm Thanks Megan! 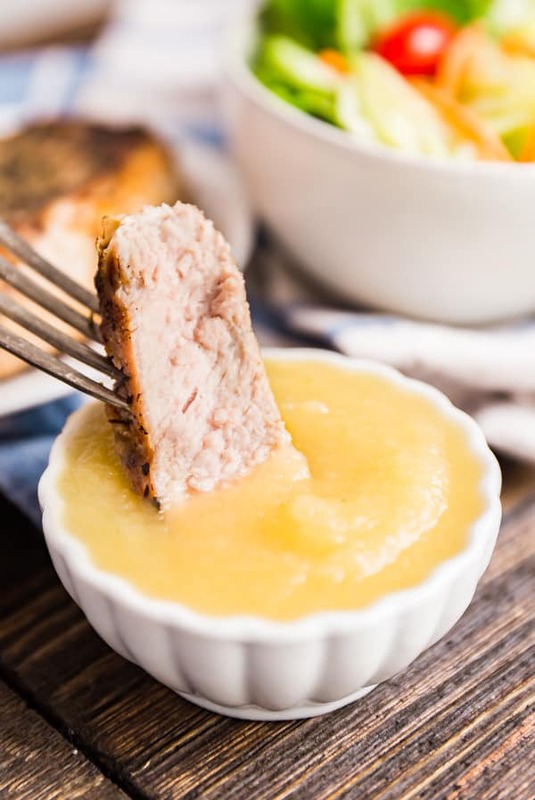 June 29, 2018 at 1:27 am Great recipe, thanks for sharing. June 29, 2018 at 1:30 pm Thank you!